The investment featured on this webpage is only suitable for Restricted, High Net Worth or Sophisticated Investors. The information provided on this webpage is for information purposes only. The webpage and its content are not and should not be deemed to be an offer of or invitation to engage in any investment activity. This webpage should not be construed as advice or a personal recommendation by Fresh Invest Ltd to any prospective investor. Any person accessing this webpage and considering potential investment opportunities featured on the webpage should make their own commercial assessment of an investment opportunity after seeking the advice of an appropriately authorised or regulated financial advisor. The products available are carefully sourced for investors with some degree of investment knowledge and experience, who wish to take an active responsibility for their investment decisions rather than for investors who may prefer to leave those decisions to a Fund Manager. Please be aware that Fresh Invest Ltd is NOT authorised or regulated by the Financial Conduct Authority. We do not offer any financial advice in any guise and as such none of the investment products we offer are covered by the Financial Ombudsman Service or the Financial Services Compensation Scheme. The value of any investments can fluctuate and you may not get back the full amount you have invested. Do not invest unless you have carefully thought about whether you can afford to and whether it is right for you. It is highly recommended that you always seek professional advice before entering into any contract. Whilst Fresh Invest Ltd aims to ensure the content of its website is accurate, the information presented on the website is received from the providers of the products and Fresh Invest Ltd does not, therefore, accept any responsibility or liability for any information (including the accuracy of such information) featured on the website. Fresh Invest are delighted to offer its investors the chance to invest in London Buy to Let property from just £25,000. Investment is sought via a syndicate structure which allows investors to invest in a London based residential buy to let. 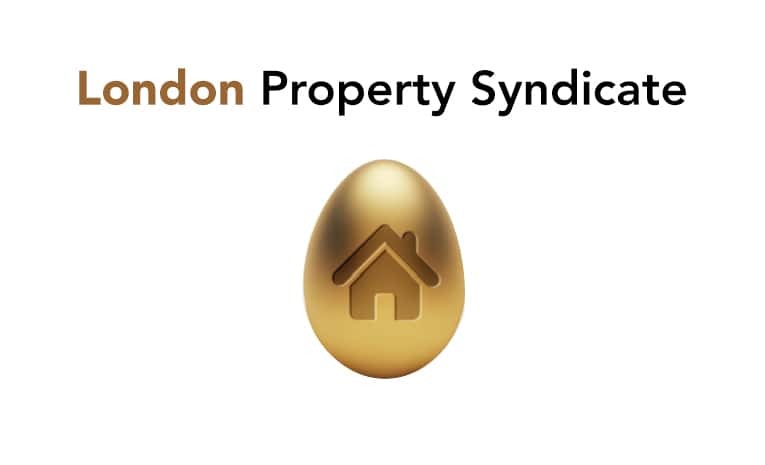 Each syndicate offers a limited number of individuals (10 per investment), the opportunity to jointly invest in a single residential property, to be cash purchased in London. Applications for investment are vetted by the investment company and Moore Stephens Accountants. This involves evidence of identity and full anti money laundering checks. Incoming funds allocated to the property purchase are held in a new bank account set up by Moore Stephens, on behalf of the new investment until the funding target is reached. Property is located within the M25 London Orbital Motorway and generally around Cross Rail routes and regeneration areas. The details of each property will include a full plan of how the property is to be refurbished, a recommended contractor to carry out the work and proposed terms of appointment of said contractor. The investment company monitors and supervises the full refurbishment of the chosen property by the chosen contractor and arranges stage payments as per terms agreed. All rental income (minus 10% management fee) is paid into the investment syndicate bank account on a month to month basis. This strategy allows the syndicate to constantly sustain a good bank balance which protects members from any unforeseen costs and enables the shareholders to vote annual Tax Free dividends, distributed from the growing rental fund. Generally each property is sold on the 5th year of purchase, however each syndicate has the option of extending for up to a year should market conditions dictate and if 100% of shareholders agree. At the point of sale 100% of the profits are distributed to the 10 syndicate members, after providing for any costs of liabilities. For access to this exclusive investment the investment company charges a fee equivalent to 2.5% of the individuals investment. The fees above are payable with your syndicate application and in addition to your funding commitment for the relevant syndicate. No other fees are charged to individual members of the syndicate.